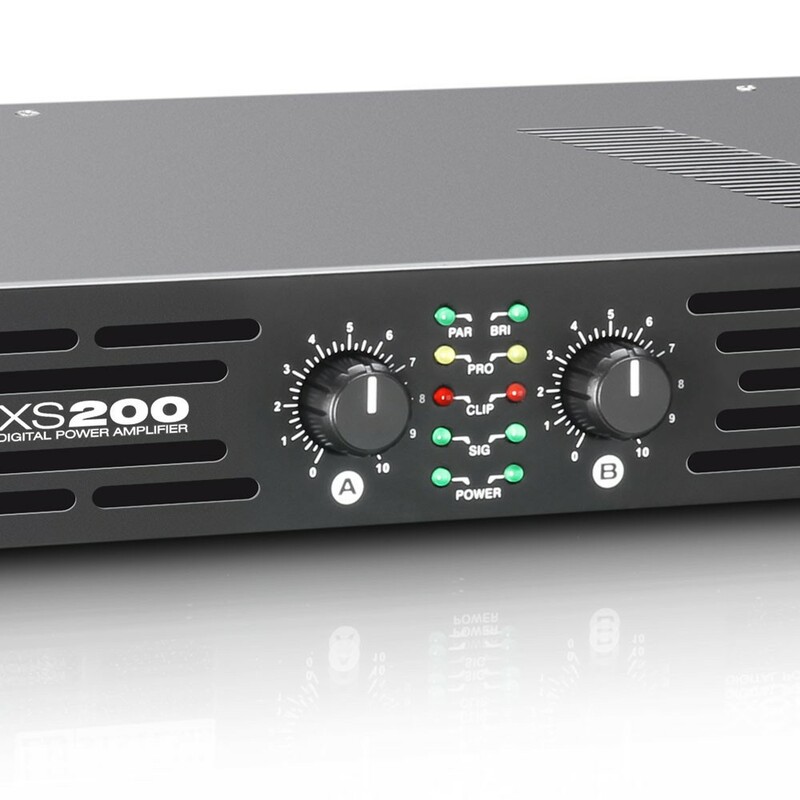 The XS200 is an extremely compact, dependable Class D power amplifier with an output of 100W per channel at 4 ohms and a transmission range of 20Hz – 20kHz. 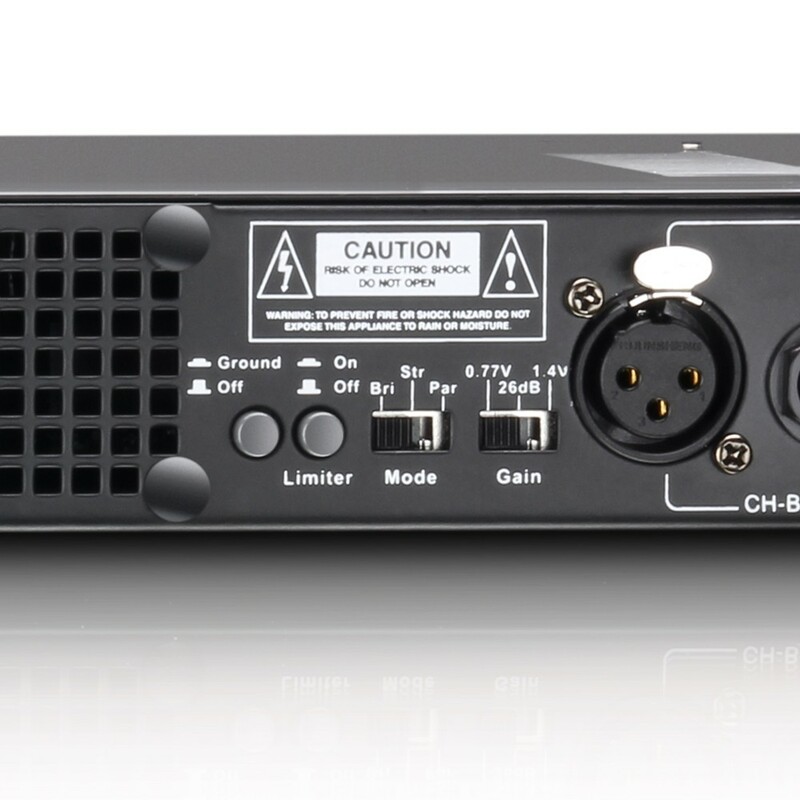 With just 1U and a weight of 3kg, it is conceived for all professional applications in which ease of transport or space is important, whether mobile, in installations or at home, since no fan is required. 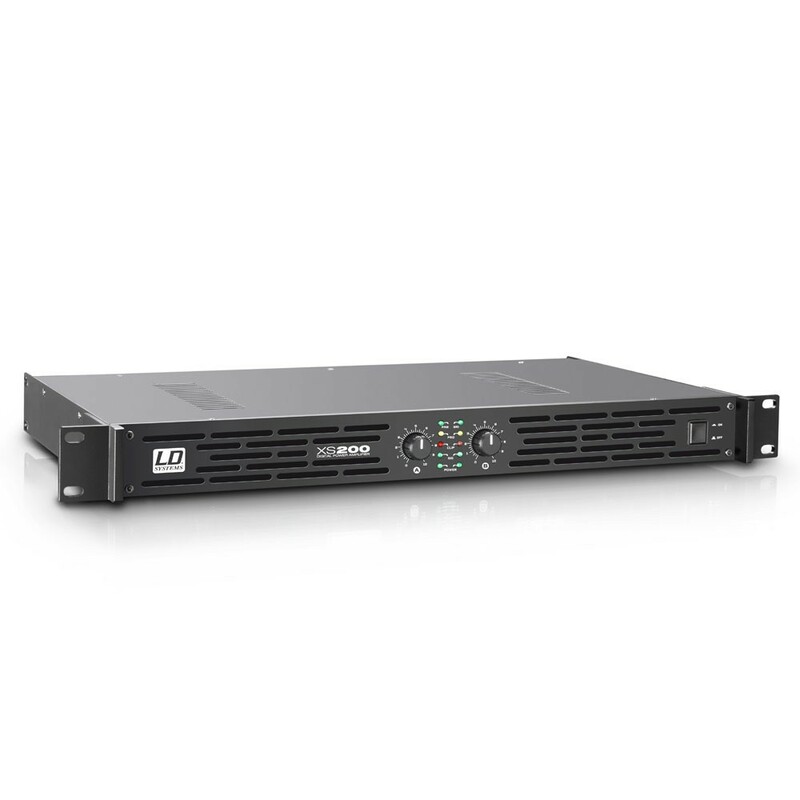 The XS200 is protected against short-circuiting, DC, overheating, and overloading and has a soft-start delay. 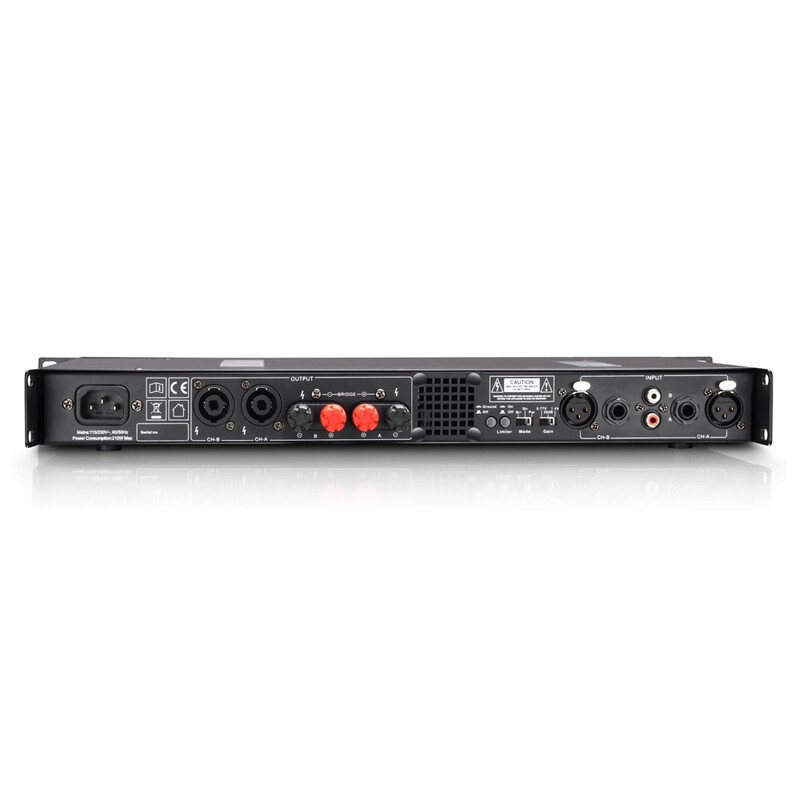 The amplifier features XLR, RCA and jack input connectors, with Speakon-compatible sockets and screw terminals as outputs. 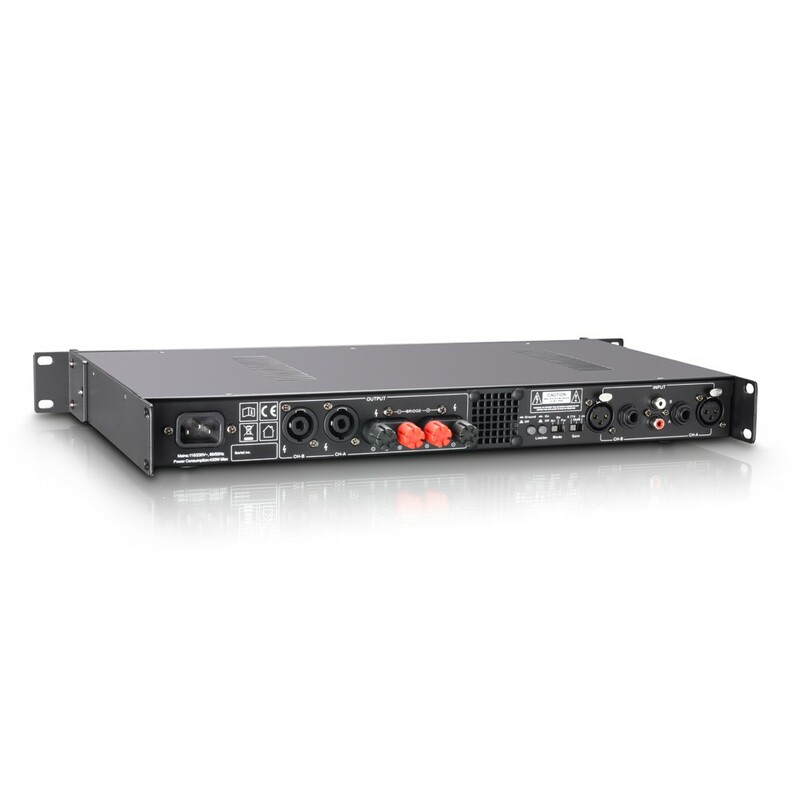 Slide switches on the rear panel let you select the mode of operation and gain and activate the limiter and the ground-lift function for eliminating ground loop hum. LEDs indicate power, signal, clipping, triggering of the protection circuit, and the mode of operation. The XS200 impresses with its high dynamics, impulse fidelity, and transparent sound.